Deus Ex: Mankind Divided and Batman: The Telltale Series headline the first PS Plus lineup of 2018. Plus, a special bonus game for PS VR owners: Starblood Arena! Update: We’ve added clarification to this post regarding the availability of Psycho-Pass: Mandatory Happiness on PS Vita and PS4. Happy New Year PlayStation Nation! We hope “play more games” is one of your resolutions for the new year, because PlayStation Plus members have some great titles coming in January! Before we go any further, we are happy to announce that PlayStation Plus members can get Starblood Arena as a bonus game starting January 2 through March 6. This arena combat game was built from the ground up to be played in VR with your PS VR headset*. Attack, evade, and move in any direction as you compete against pilots from across the galaxy. You’ll fight for glory, credits, and your life. 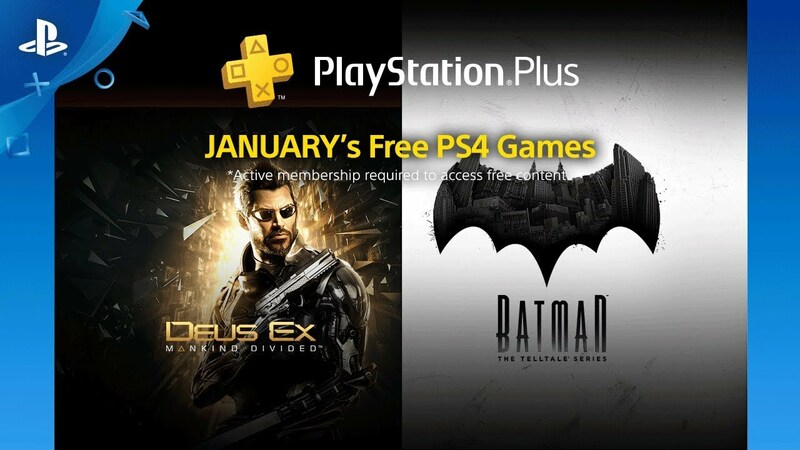 Now, on to the PlayStation Plus monthly games for January! First up, we have Deus Ex: Mankind Divided. This sequel follows the immediate aftermath of the Aug Incident, the day when mechanically augmented citizens all over the world were stripped of control over their minds and bodies. This game mixes first-person action, stealth, and RPG-elements to make for an enthralling adventure. Next, we have Batman: The Telltale Series. Take on the role of Batman, both as the hero and his alter ego [SPOILER] Bruce Wayne. Where every choice has a consequence, see what it really means to be the Dark Knight. Another hand-crafted adventure game by the fine folks at Telltale, it is sure to entertain. Lastly, for fans of Warframe, you can grab the PlayStation Plus Booster Pack II Bundle starting January 16 to help get you started on your adventure in the Origin System. The pack includes 100 Platinum and 50,000 Credits, Akmagnus Dual Pistols and Akmagnus Obsidian Skin, a 3-Day Affinity Booster, a 3-Day Credit Booster, and a Dragon Mod Pack! This offer is available to all PlayStation Plus members until February 13, 2018. And there you have it. Tons of gaming to start your 2018 off right! I have Psycho Pass on my Vita but I haven’t touched the system for a while so I never finished it. But I’m glad we are getting the PS4 version as well. I thought the blog was going to go dark until the new year though lol. It looks like the rumors about Batman and Deus Ex were true though. Glad I told my friend to hold off on that Batman bundle that’s on sale right now xD. So does that Batman one only include the first episode or is it actually the whole game (all episodes)? TBH, I think James made a mistake with the copy. Psycho-Pass is not crossbuy and I’m pretty sure we’re getting the Vita version. I love visual novels and Sony is throwing me a feast. This is the best time to own a Vita with Plus! Would we be able to redeem it for PS Plus (to take advantage of cross buy) if we already own the Vita version? Nice lineup! I really enjoyed Sacred 3 via Playstation Now so it’ll be pretty cool to play it via my PS3. Looking forward to trying out the other entries for the Vita and PS3 as well. I know, right? I saw th First episode and I kinda liked it so I’ve been really curious about this game. Getting it on the Vita and PS4 is a really nice bonus. @sunjay140: I think James, the PS Plus guy, made a mistake and Psycho-Pass will be available for Vita only. The EU Blog says it’ll only be available for Vita there. The fact that you own the Vita version and don’t have the PS4 version makes it clear this title is not in fact cross-buy. I’d like him to post a comment and make it clear if we’re getting both versions of Psycho-Pass or just one. @Invictus_80 The other Telltale games that were offered on the IGC in the past were complete games/seasons, so I wouldn’t anticipate anything different here. Just have to remember to download each episode individually. I learned that one from Walking Dead Season 2. Thanks. GUYS! Thank you so much! I wanted to play Deus Ex, Batman, and Psycho Pass for so long but never could afford them separately. So grateful that we get it next month for our PS Plus! I’m really excited for this! Thanks! This is bull. Awhile back I bought borderlands telltale. A month later and it was out free on gold. I bought metal gear solid pantomime pain. A month later it was out for free. A month ago I bought deus ex mankind divided and batman telltale………………….THIS IS BULL!!!!! It good to know what we’re getting for PlayStation Plus this month. It seems to me that PlayStation is to busy focusing on the end of the year sales still. To tell us what we’re getting for PlayStation Now, for January 2018. Now in the past, we usually know by the 5th of every month? Let’s hope that trend will continue. But none the less I am disappointed in not knowing what’s going to be added to PS Now for the month of January 2018? I cant download Deus Ex, However I can download Batman, anyone know why? Thanks for pointing out the language error early on — it isn’t technically a cross-buy. Instead, PlayStation Plus members can get both PS4 & Vita versions of Psycho-Pass separately. Thanks and game on! James, when you say “PlayStation Plus members can get both PS4 & Vita versions of Psycho-Pass separately”, you mean PS Plus members can PAY for the PS4 version? Are we getting the PS4 version this month or not is what I’m trying to ask. The way you’ve worded is still extremely confusing. I’m hearing from people in the US that the PS4 version of Psycho-Pass is downloadable. Is this true for Europe as well? It shows up as €49.95 over here. Are European customers getting less stuff than US customers this month? PS4 version of Psycho Pass is still $60 can this please be fixed like it was in the US version? Hi James, I don’t know how to contact the EU/AUS team but the psycho pass PS4 is still isn’t available for us to purchase with PSPLUS.. are you able to talk to someone please.. You got the USA fixed so quickly. @CloudedJudgement – I’ve spoken with my friends in Europe. You should see an update to the availability of Pyscho-Pass in UK & AUS shortly. Thank you for being patient. Niiiice. I own deus ex, but still solid line up. It isn’t this is just a give from Sony. Only thing is don’t think we can 2 Platinums from it. It has happened where Sony has given PS3 and Vita copies of a game even though it wasn’t cross-buy. Copied and pasted from August’s PS Plus in 2014. Kristine was a red post btw. No guarantee the same treatment, but Sony does do things that are just good for players. Again no guarantees. @MakaiOokami: I completely forgot about Dragon’s Crown (I didn’t have a Vita then), and you’re absolutely right! That time Kristine did her job and followed up on questions from the community, while James hasn’t, so our expectations are backed by precedent and I’ll be very angry at SCEA if next Tuesday comes and we don’t get what we were promised. 4 adventure-style games this month? Please stop, we’ve already been inundated with the genre on Plus. Out of curiosity, what are you looking for? Is there someone you can send this to to help please? This month is good I guess. Too bad I own every single one of these games. So you’re saying you bought Kung Fu Panda? Too bad i aready own both games on my main account. Oh well more time to play on my Nintendo switch till Monster Hunter: World comes out for Ps4. I’m just gonna stop buying games and beg for them to be on PlayStation Plus. Well yeah you can just not support the game’s industry. Though another option is to buy games on the Vita and hope for PS plus versions. At some point though the more people that stop buying games, hoping to get them pseudo free, the fewer games we get overall… So yeah… Maybe not the BEST ideas. What a great month. Deus Ex is a great game to get for free and Telltale’s Batman is good too. Starblood Arena is one of the best multiplayer VR games out so glad to see more people will be playing it now. Getting Psycho Pass on PS4 is a nice bonus too. Just glad I didn’t buy Starblood Arena for $8 and instead got Wipeout HD. Now I don’t have to choose and I don’t have to worry about no player base for it. And if I can’t handle the graphics on my normal PS4 I’ll have it incase I get a PS4 Pro, or if I can enjoy the game on PS5 (hoping for backwards compatibility otherwise I have to rethink my Playstation support) it should run absolutely beautifully. Hopefully the game’s multiplayer won’t be killed off by Firewall or something at that point. But hey I get to try out a game I’ve been curious about for a while. Oh wow Vtia games looking great this month! Hooray! Definitely going to download Pycho Pass. No complaints from me. I’ve been interested in Batman but hadn’t bought it yet. And I’m glad I didn’t buy Starblood during the sale. I’m definitely in for Psycho-Pass: Mandatory Happiness. I loved the anime. What are you talking about? It seems overall positive this month. While I don’t see the need to complain about it, there is logic behind it. For instance, even if PlayStation Plus offers multiple things, the value you derive from it varies. Like, I mostly pay for the games and rarely play with others online. Even if I get that benefit, it adds no value to me and isn’t something I factor in. As far as the games go, it’s a big part of the membership for some people and it is important to look at things like diversity. Like, I don’t care for experience titles, yet they love to offer them on the PlayStation 4. Heck, in recent months we’ve gotten so many visual novels, a genre that isn’t particularly loved, that it probably has exceeded the total number of JRPGs they’ve offered over the life of the program. It’s just like when they were on a fighting game kick and people complained. It’s great to offer diversity, but is it too much to ask for something like Guilty Gear or Toukiden 2, both of which were offered by PlayStation Japan, and not another Telltale game? Especially after getting Tales from the Borderlands, GoT and now Batman in the same calendar year. Actually its 72 games or maybe 78 now if we are going to keep getting a new VR game every other month. With that many games, everybody should get their money’s worth over a year’s time. it’s not 60$, you can get it online everyhwere for 50$ or so. Well said @Admiralvic, I have wished for that diversity too and those norm breaking Japan Plus games would’ve been nice. Not a fan of Telltale games in general. 1. With a Playstation Credit card allegedly you get $30 off your credit bill if you sub to PS+ have a PS Credit Card and spend $4,000 a year, which will pretty much erase any fees you get from PS Plus all together. Not sure if I have to pay the sub with the credit card but that brings me to number 2. 2. I got PS PLus for like $40-48 from I think Groupon. Bought 2 years. If I get the $30 credit then… Booya, PS Plus was completely free. Though I typically get $5-18 or more dollars a month due to the rewards structure of a Playstation Credit card. I got like $9 in the last month. Yay! 3. Where can you get a better deal? Humble Bundle, Steam and GoG. I paid 50 cents to give my friend a $5 game called Minion Masters and I paid $5 for it because another of my friends liked it and we’re having fun. Though PS4 gaming is my comfort food. I mean I could argue for $3 getting Heroes of Might and Magic 3 complete is a WAY better deal but I haven’t tried Tropico, and I don’t care about NBA 2k, but I should probably try Deus Ex or play some more Dragon’s Crown on my Vita. i own all but 3 of these X_X but it will be nice for others to finally try them. I’m one of the others, thanks for saying that. I bought other games like Horizon Zero Dawn, I only had a budget for games. I really wanted this game! I’m truly grateful to PlayStation. You and the fans of Deus Ex matter, you really do seriously. Big start to 2018, very nice! Nice, I don’t have any of these. Definitely downloading them all. Hehe. Thanks PlayStation. Happy New Year. A pretty good lineup, but I do wish Sony would stop calling them ‘free’ games, they’re not free when you have to pay a subscription to get access to them. if you want to get all snobby and technical so will i, they are free. you pay for the right to connect to the service and use multiplayer. you just happen to get games in the meantime. most of the time this generation of gamers are so self centered with it. the kids with the ps3 phase when it was being tested was never as negative and whiny as the ps4 kids of today. ROFL. IF you want to get technical about it, they aren’t free because whenever Sony uses the term “free” it’s preceded or followed by “with Plus” which does have a cost associated with it. “Free with Plus” is marketing speak to make it seem more enticing. Your logic goes out the window when you consider that if you stop paying the sub fee, you lose access to the “free” games. It also falls apart when you consider that the MP and service costs that you’re using to justify your logic were free on the PS3, where the sub fee was for the “free” games. You tried, you tried real hard. You still failed though. How does that feel after writing all that? I’ve been subscribing because I wanted some games on my Vita and PSP, and it was cheap enough, and I’ve been subscribed ever since. First subscription was for Sam and Max game. I used to pay for PS Plus by trading in PS3 games I got free. Then I started getting discounts on it. Then I started buying enough games that the PS Plus discount negated my costs entirely and I would sit there and want a game like Dust an Elysian Tale which I already had on PC, but now I was getting it via Plus for free. now I have a playstation credit card, and allegedly they’ll take $30 off your bill if you’re a PS Plus subscriber. Does that count if I paid $48 for my PS plus from Groupon? I get about $8 a month from my PS credit card, so $30 off my bill, (you have to spend $4,000 a year on the card) plus 1% of 4k is $40, so I get $70 back for paying $60? Well in all reality PS Plus IS free at that point and therefor my games ARE free. 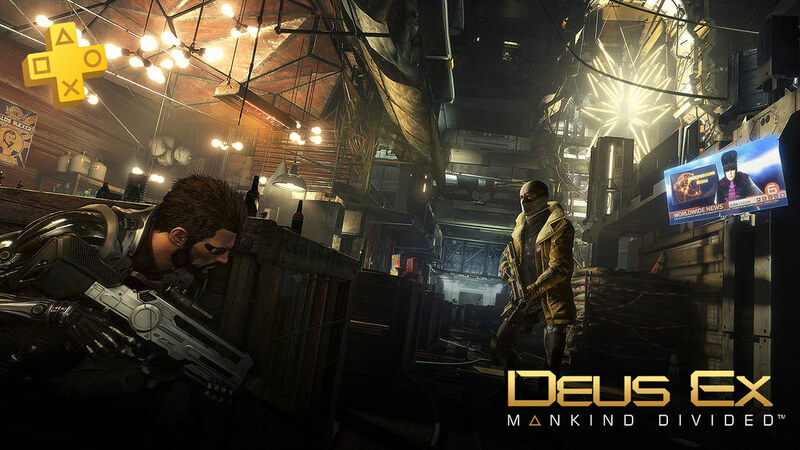 Deus Ex Mankind Evolved, Awesome. Great to have in the backlog. Batman Telltale Season 1 (Played the Physical version, which gave me ep 2-5 free digitally). Unsure if I will pick it up just for EP 1. Sacred 3, PS3. Won’t play. The Book of Unwritten Tales 2, PS3. Great game already have it :(. Worth playing, enjoyed the characters, story. Meshed well from chapter to chapter. Left me wanting to play the first one. Psycho-Pass: Mandatory Happiness, PS Vita (Cross Buy with PS4). At least the PS4 version is free, but not seperate trophy list. Going to try finish the Vita version before the January Selection hits. Uncanny Valley, PS Vita (Cross Buy with PS4). Already own. Starblood Arena PSVR. Really enjoy these PSVR bonuses, if PS+ keeps adding them every few months. It might just push me to buy one like it did for the PSVITA. Great month in value for everyone. Only 2 new games for me + the Bonus PSVR game. Batman episode 1 is free! Deus Ex is the only thing that interests me, but I’m quite happy with just that. I actually would have bought that game yesterday yesterday from Best Buy for $9.99 if they weren’t sold out. A 4k HDR title for free? Nice way to end the year!! Uncanny valley always looked interesting too. I own it. It’s kinda meh. Thank you so much sony! this is for sure one of the best month’s i’ve seen on PS4. i’m a huge deus ex and telltales fan and i haven’t got the chance to play those games yet so this is the best opportunity! great start for the new year! wish everyone a happy new year! This is an excellent start to 2018! I love Psycho Pass, this game will be awesome! 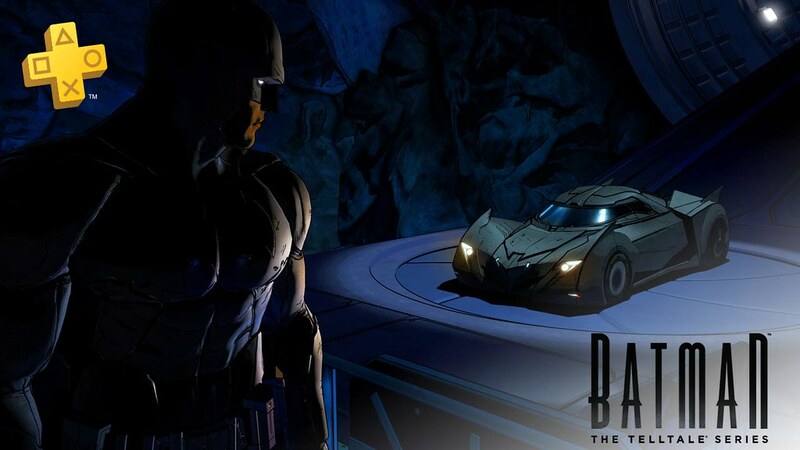 Is the Batman game just Episode 1 of season 1 or all 5 episodes of season 1? It’s the whole first season like how they always do it. Sure, it’s the full season for Batman, but “like how they always do it”? King’s Quest wants a word with you. Great lineup. The ps4 and vita games are amazing. I already have Psycho-Pass: Mandatory Happiness limited edition on PS4 but always wanted the vita version. Yay. Thank you. Thanks you guys great choice! Haven’t played Deus Ex before but looking for add to it – great pick! great games, cant wait to finally play Deus Ex & Telltale Batman ! You put Starblood Arena on sale and then put it up free for ps+ the next week. Unrelated: Can you guys stop just directing to the store with the Holiday Sale posts? With everything carrying over week to week it takes forever to dig through and find the new stuff. It doesn’t take long to make a post. We shouldn’t have to go to Reddit to get a list of what’s actually been added, that’s what this Blog is for. Definitely a great line-up for January. It will be nice not having to put my disc in to hunt down some missed trophies for DE:MD. Ditto for Psycho-Pass. Gotta admit that I found Psycho-Pass to be disappointing. Coming from the makers of Steins;Gate, it doesn’t hold a candle to that masterpiece. The Book of Unwritten Tales 2 is a very well-made old school point and click adventure. It reminded me of the classics from LucasArts and Sierra but with modern visuals. It will be fun to revisit Batman on my PS4 Pro. Most TTG have the easiest platinums. If only we could have had a stellar holiday sale to match the stellar lineup of Plus games in January….. I enjoyed at least 2 out of the 3 Telltale offerings on the IGC, Walking Dead Season 2 and Tales from the Borderlands (sorry, Game of Thrones, was a little disappointed), so I’m looking forward to Batman. Checked out some videos of the other games and am quite frankly not interested in them. Hopefully, everyone will find something they like. Thanks. Not a bad lineup to start the year but could’ve been better.I’m a big fan of Batman but exactly the contrary when it comes to the poor games of telltale and for PS3 and Vita if I’m not mistaken only Sacred 3 is worth any time. Don’t care much though…Deus Ex makes up for them,a great game to have it for free. Oh yeah forgot to mention Starblood Arena…a really nice bonus.Loving these VR games being offered as of late,keep it up Sony. I already have Dues Ex:MD and can’t recommend it enough. The world building and environments in that game are so cool: Eidos did a great job. Personally, I will be thrilled to add the Batman game to my story-game collection. You can’t go wrong with a Telltale game, and I loved TftB and TWAU. Even though I’m not a huge Batman fan, I still think I’ll enjoy this game. DAY UM! Dang, thats list is almost too good. Thanks Sony. Dang just beat batman on my Xbox… but at least I can get the plat now. Psycho-Pass: Mandatory Happiness: is a nice addition still need to beat the man route maybe I’ll try it on my PS4 to see how I like it. I was looking at Batman. Glad I didn’t pick it up. Good month. I’m content with this content. Thanks for adding the PSVR games to the monthly Plus Free Games ! It was part of the reason i decided to pick up the Elder Scrolls bundle this holiday when they had the discount pricing. Knowing I have RIGS, Until Dawn and now Starblood Arena to play as well as Skyrim helps makes it worth it. Also, I am really liking the changes made in the new model headset compared to the launch version. I wanted Deus Ex mankind divided for years! I’m literally crying. I liked many of the Ps plus games for 2017, but between Infamous second Son and Deus Ex mankind divided I’m truly grateful. Thank you very much, this means a lot to me. All good games. Good month. Rocket League was free on PlayStation Plus when it launched so sorry you missed that train. Minecraft sells so much that there really is no reason to put it on the service. This is a very good list of free games. I own Batman, but other than that I am nabbing a few new games. I look forward to trying out Deus Ex Mankind Divided. Thank you PlayStation for getting us such good titles to start 2018 off right with. This month i s so good!!! noooooooooo Starblood arena gives me motion sickness. MAKE MORE NOISE WITH OLD AND CLASSIC PS ONE AND PS 2 GAMES.